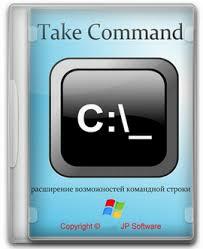 Take Command is a comprehensive interactive GUI and command line environment that makes using the Windows command prompt and creating batch files easy and far more powerful. Take Command displays your command line applications in tabbed windows, with optional Explorer-style integration for a visual look at your folders. Take Command includes hundreds of major enhancements to CMD commands such as COPY, DEL, and DIR, and adds more than 170 new commands, 640 internal variables and functions, a batch file IDE / debugger, advanced command line editing and completion, and thousands of other features. Take Command organizes your Windows command prompts Take Command is a comprehensive interactive GUI and Windows command line toolkit that makes your Windows command prompts easier to use and far more powerful. Take Command includes optional Explorer-style integration, tabbed console windows, major enhancements to standard Windows CMD commands such as COPY, DEL, MOVE, SET, and START, and adds 160+ new commands, vastly improved command line editing and tab filename and directory completion, and thousands of other features. In addition, Take Command is a powerful batch file programming tool, offering extensions such as DO loops, SWITCH statements, error and exception handling, system monitoring, an integrated IDE with a sophisticated editor and batch debugger, third-party plugins, and more than 640 built-in variables and functions. Take Command combines the power of the command line with the ease of use of Explorer. You can manipulate files in the tabbed command prompt windows and graphically see the results. The integrated and familiar environment means you are immediately more productive with your interactive command prompt and batch file programming tasks. The consistent command prompt commands syntax reduces your learning and development time. The comprehensive help (including context-sensitive popup help for command line commands syntax), speeds your development time and reduces syntax errors. It's fast — 20-200% faster at displaying output than the standard CMD command prompt. Take Command is fully customizable, including multiple themes, colors, menus, toolbars, and windows. You can redefine your commands through aliasing, create new commands and functions for your regular tasks, and assign frequently used commands to a single keystroke. 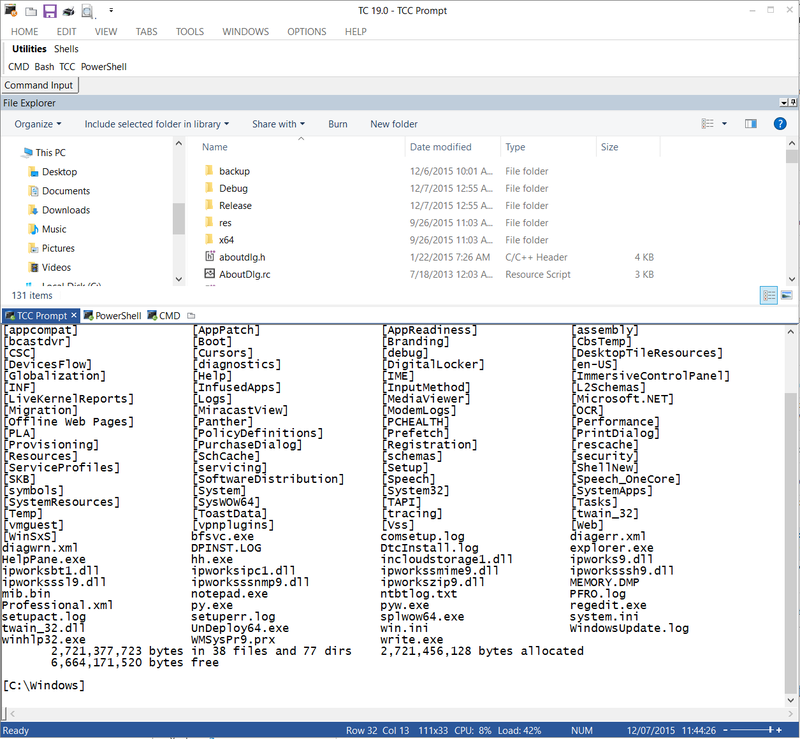 The TCC scripting language is a massive superset of the CMD command prompt commands, with 200 internal commands, 338 internal functions, and 282 system variables. Almost all of the CMD command prompt commands (e.g. DIR, COPY, DEL, DIR, START, etc.) are enhanced with hundreds of additional options, and TCC adds more than 160 new commands. Take Command can usually do in one or two lines what requires dozens of lines in Windows CMD commands (if it can do it at all). You have multiple types of redirection, including redirecting and piping to STDERR, «here-document» and «here-string» redirection, and TEE and Y pipe fittings. Expand your scripts with the internal support for Perl, REXX, Python, Tcl/tk, and any Active Scripting language. You can even combine multiple languages in your batch scripts. Portable version seems to be corrupted.